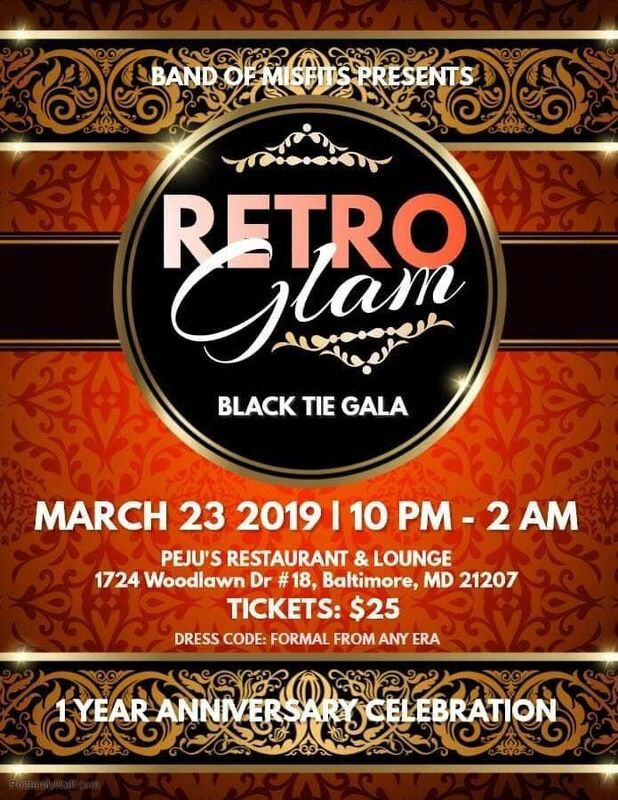 BAND of Misfits cordially invites you to attend the RETRO GLAM BLACK TIE GALA in celebration of their 1yr Anniversary! Come dressed in formal attire from your favorite era (30s, 50s, 80s, etc) and enjoy a night with beautiful people, good vibes and great music. Let's create more amazing memories!